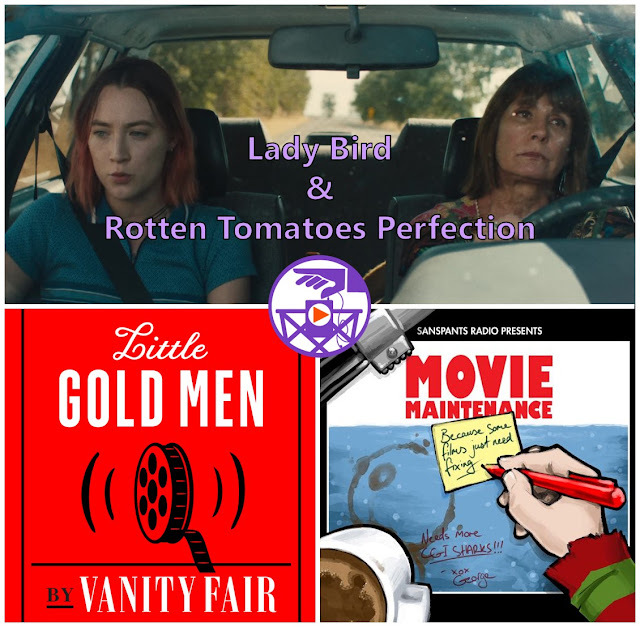 We can't promise podcast perfection but we can promise two other great movie podcasts to inspire our discussion on Rotten Tomatoes Perfection and the new film LADY BIRD. On the MOVIE MAINTENANCE podcast the hosts discuss the current film offerings weighing heavily on the positive reaction to BABY DRIVER while over on LITTLE GOLD MEN there is a fear of how Greta Gerwig's movie will be perceived by the filmgoing public with the perfect Rotten Tomatoes score attached to it. Take solace dear listener in that you have attached yourself to this great podcast and we will never have such glowing reviews that would only disappoint you later.